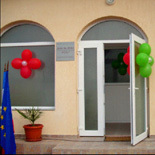 Foster home “Rose” accommodates children deprived of parental care and has been practising since 4th March 1985. 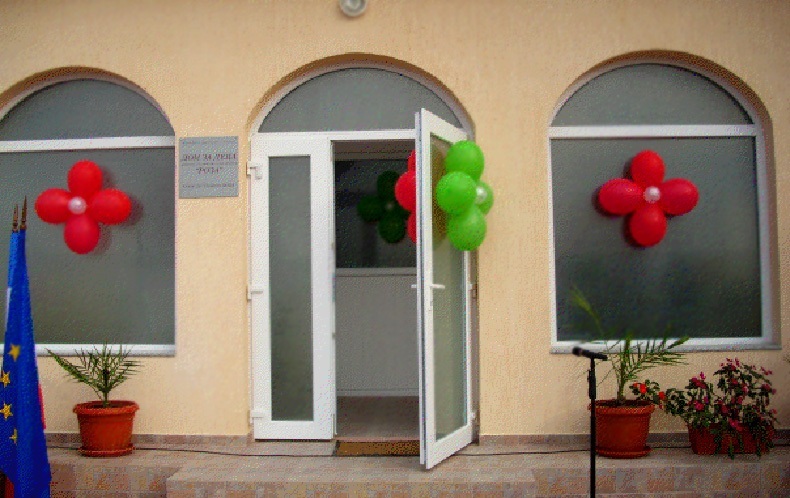 The Home provides social services, permanent and weekly care for 35 children from three to seven years of age, who lack family environments. The permanent care groups also provide emergency places for children taken according to part 33 of the Child Protection Legislation and children under police protection. The children are split into three age groups, with the aim to bring them up and educate them in a family-like environment. Staff members are allocated to every group permanently to ensure the behavioural and social skills programmes are carried out most effectively. Their daily responsibilities include meeting the children’s basic needs, feeding them, maintaining their hygiene, providing medical care, adhering to the curriculum, educating them using art and music. Our staff is represented by the following specialists: the manager, a psychiatrist, a speech therapist, counsellors, social workers, medical staff, child minders. We also benefit from the work of a musician and a counsellor on the social programme “Granny and Grandchild”. Every child has an allocated key worker to ensure better internal organisation and better care for the child. Thus every adult is familiar with the progress and problems of their allocated children and form trusting relationships. Start of the “Granny and Grandchild” programme which works with small groups of one or two children and teaches housekeeping skills, cooking, manners in hosting guests and visiting places outside the Home, provides a supporting environment to integrate the children in society so they can lead a normal life with a sense of appurtenance. The focus of our work with the children is to develop their skills and strengths, support and understand one another, practise practical skills in a safe environment, motivation seek improvement of their skill set and broaden their chances of success. This will compensate for the disadvantaged social environment and the lack of parental care and will satisfy their primary needs of overall development.